Can be used for low precipitation rate and high uniformity overlapping irrigation in greenhouses. 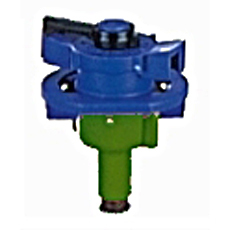 Used for irrigation in greenhouses and nurseries installed in inverted position in places where a lower angle of throw is required. Also Applicable for landscape, cooling and frost protection systems. 35-160 liters per hour (0.154-0.704 gpm). 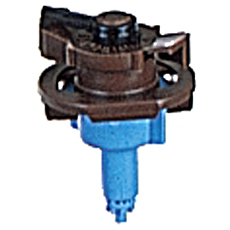 These Bridgeless Emitters are the most advanced and time proven mini sprinklers with unique patented mechanism, firm construction without a bridge for uniform distribution and excellent performance even in difficult conditions. 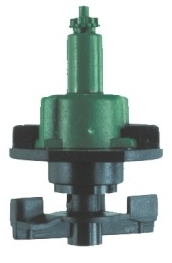 Model 861 - Large wetting diameter. 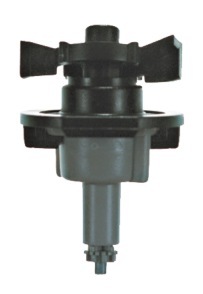 Model 862 - Medium wetting diameter that can be reduced by using the RJC,(Removable Jet Converter). 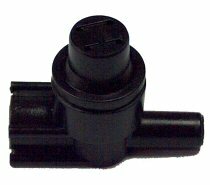 Model 863 - The product combines very low flow rates, from 20 l/h (0.088gpm) with relatively large droplets. 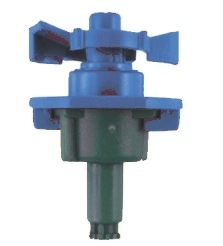 The 863 diameter can be reduced by using the RJC,(Removable jet converter).